What an excellent sounding book! I was getting teary eyed reading the synopsis. Sounds similar to Marley & Me which just about killed me, lol. Hi Susan – I hope that you will give it serious consideration. 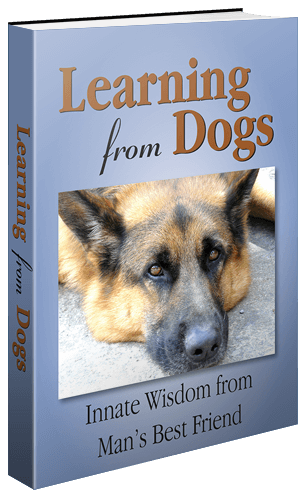 Unlike many dog books, Ray does not die in the last chapter. In fact, he is still very much alive! You may also be interested to know that all profits will be directed to the Humane Society that initially rescued him, and ultimately allowed us to adopt him. So good to hear, Colin! Thank you for your response! I follow Colin’s blog too… Ray is a very special dog indeed. And I think Colin has perhaps changed a lot of his thinking due to what he has learned from Ray. Dogs and Ray in particular can teach us how awful we can become if we do not respect each other and live in harmony, despite our differences. Every now and then one’s life takes a turn off the perceived main road and goes in the direction of “who knows where”. Ray was, without doubt, one of those turns to “who knows where”! I’m also one of Ray’s loyal followers. That guy Colin is ok too. Sometimes he draws a bit of wisdom and humor from Ray’s unique personality. The story of Skeeta and how it played into Ray’s life, and Collin’s choice, is heartwarming. We live. We learn. We don’t forget. We try to make amends. Hi John – The following may be interesting re the Skeeta connection. It is a reading of “Skeeta’s Legacy” which is included in my “Just Thinking” book. Hi John – It just did for me! Please try again or go to my Post (link below) and you will see a link at the very end of the Post. Hi John – There would appear to be some ongoing censorship issues between Brazil and Youtube, so the best I can do is copy “Skeeta’s Legacy” from my”Just Thinking” book. I hope you enjoy it (and I hope the verse and line spacing is handled here correctly! We would laugh at her… often until we cried! Thank you, Colin. I’ll raise a glass to Skeeta, her job done. Yes, everyone of us is a product of our past times and experiences. Hi John – Let me look into it. I have had this before where a country and Youtube are having a problem! Will get back to you hopefully within a couple of hours. Regards. Colin. Hi Paul – Thank you for sharing your Blog to provide more exposure to “Who Said I was up for Adoption?” (and “Just Thinking”). Both books are “non-profit” ventures so this is really appreciated. Thanks again. Regards. Colin. Colin, you are most welcome. Indeed, having just read your responses to everyone else I’m minded to enquire if you would like to run the show for a while? 😊 Just kidding! The replies and comments confirm the widely held regard for this book. Jeannie just reminded me that you, too, have that strange British blood in your veins! I spent many years living and working in East Angelia. Homes in Wivenhoe and, later, Great Horkesley both close to Colchester. But originally born in Acton in London in 1944. Interesting times then! My mother, who died just last November, is reputed to have looked down at tiny me, held in her arms, on May 8th, 1945 claiming that she thought I would live! Ten days ago Jean and I were having an evening meal in our local restaurant, just four miles from home, and I thought I heard English voices coming from a nearby booth. Couldn’t resist being nosy so wandered across to their table. Met with Cecily and Neil celebrating the fact that that same day they had closed on a house a mile away. Cecily was born in Texas to English parents and Neal was born in England; forget where he said. Anyway, Neal said he had been living and working in Plymouth, Devon before meeting Cecily. To put that into context before I left England to live with Jeannie I was living in the village of Harberton also in Devon about a 35-minute car drive East of Plymouth! Hmmm… when I worked for a company in Peterborough, I had a sales contact in Birmingham who emigrated to Canada. When I got my first job in Canada, I was chatting with my boss and he mentioned that his neighbor had emigrated from England a few months earlier. Yup! The same guy. Can be scary if you dwell on it too much! Contact details? You already have my email address! Hi Sue – So glad that you could relate the mental turmoil over Skeeta, and as for Ray? He is still a work in progress, and probably always will be, but his impact on us in general (and me in particular) has been profound in so many areas. Hi Sue, My book about Ray could well be the “push” necessary for “hubby” to agree. Whereas it covers positives and negatives of living with Ray, the book ends with the fact that Ray has been an amazing experience… and I would do it all again. The first 18 months was certainly an emotional roller-coaster, but the ride was worth it. We have close to 80lbs of German Shepherd/Rottweiler who clearly loves living with us and shows it regularly. I don’t know what else to add, other than he found his way into our hearts. Hope you get to read Colin’s book, Sue.